Welcome to Faith Mather Sossaman Elementary, home of the Sabercats! I am extremely proud to be the principal of QCUSD’s newest elementary school. As your principal, you can expect me to be dedicated, enthusiastic, and always put the needs of your children first. It is my belief that all students are capable of learning and achieving high standards when provided with instruction that is based upon their needs. School should be an exciting and enjoyable place where students look forward to learning and are encouraged to take academic risks. My desire is to be a leader who promotes quality education and collaboration with students, staff, and parents. Together as a team, we will help our children reach their potential. We as a staff know we would not be successful without the support and involvement from you, the parents. We encourage you to be involved in any way you can. Whether you come in and help in the classroom, office, or cafeteria; join the PTO; work on various projects and/or school wide events; donate supplies; or simply provide a quiet place at home for completing homework, your involvement with your child’s education is valued. To have the opportunity to work with the amazing staff, students, and parents at Sossaman is a dream come true. Louis Pasteur said, “When I approach a child, he inspires me in two sentiments; tenderness for what he is, and respect for what he may become.” I look forward to seeing our students become what they may. 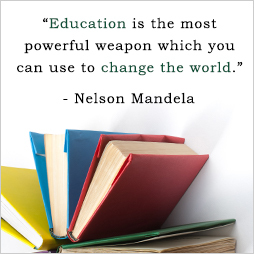 Thank you for entrusting us with your child's education.